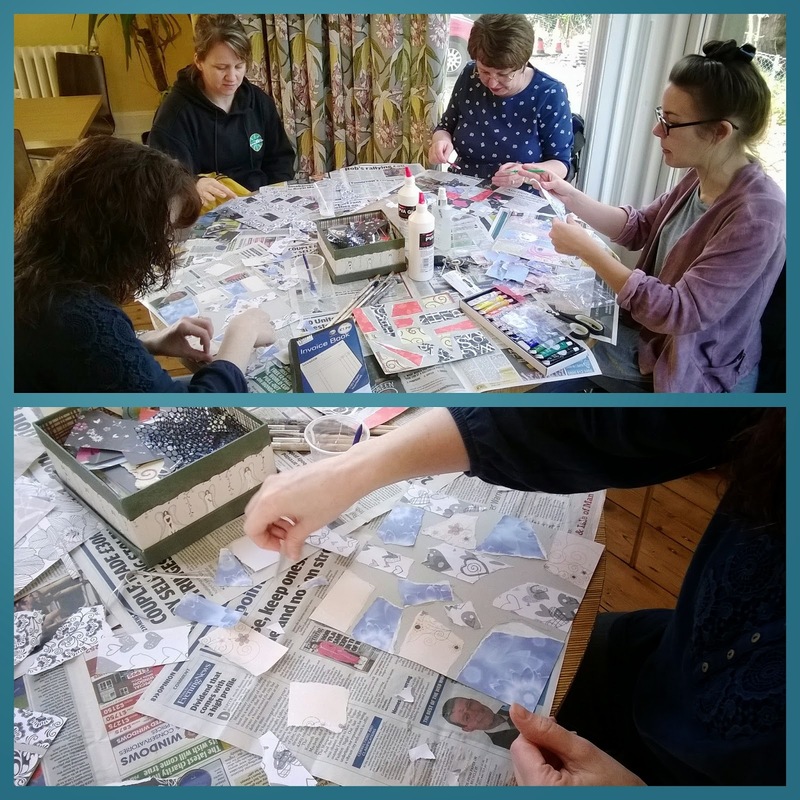 What a lovely time we had at our M&T Craft Group this morning. Continuing with our art theme we made mixed media backgrounds using paper scraps, acrylic paint and stencils. These can be used for a variety of uses such as backgrounds for our girls faces that we completed at the last session, in card making, cut up to make embellishments or gift tags, coverings for handmade journals and much more. The challenge for the next M&T is to see what we can make with them. I'll post pictures of the end result on here...so exciting!!! Below is a picture of some of my lovely ladies and their mixed media backgrounds. Fabulous stuff!!! Thanks to my lovely crafty ladies for giving me permission to post this picture. Experimenting in mixed media using paper scraps, acrylic paint and stencils. 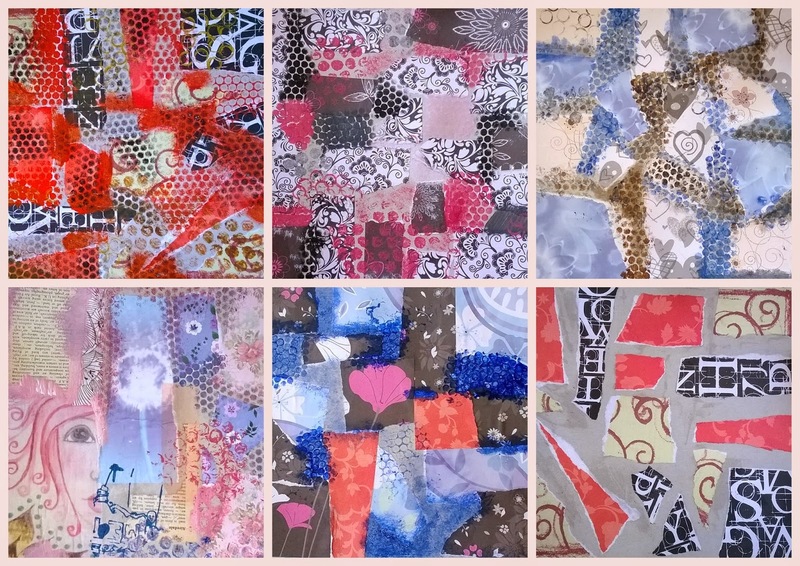 Examples of our finished mixed media backgrounds...what will they become?? ?